Producing Cut Parts For Light Manufacturing , DIY & Creative Art Uses. 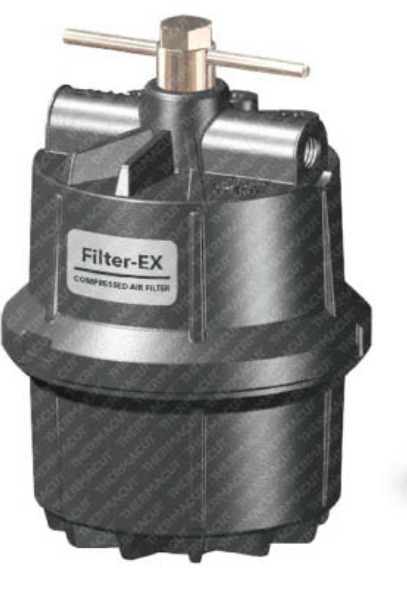 The Filter-EX is designed to remove moisture, oil aerosols, and particles from compressed air as well as providing clean, dry, and oil-free air for hand held and mechanized plasma cutting systems. Once installed the Filter-EX helps to eliminate problems caused by undesirable particles or moisture condensation in the air, which affects not only the quality of the cut, but also prolongs the life of the cutting system and replacement consumables.